Someday, people who know how to use computers will rule over those who don't. And there will be a special name for them – Secretaries. These are the men and women who make the work world more manageable. They plan your meetings, schedule your appointments, write your notes and even fetch your coffee. Each and every year there comes a day that celebrates the secretaries, PA’s and office administrators in every office in the country. That day is of course Secretary’s Day or Office Administrators Day. Over the years, Administrative Professionals Week has become one of the largest workplace observances. The event is celebrated worldwide through community events, social gatherings, and individual corporate activities recognizing support staff with gifts. In the United States, the day is often celebrated by giving one's assistant gifts such as flowers, candy, trinkets, lunch at a restaurant, gift cards, or time off. 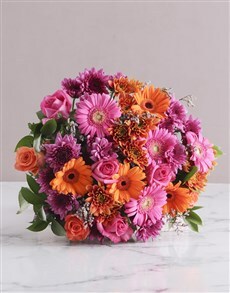 Or you could show your appreciation to your very own office angel by buying a Secretary’s Day gift online at NetFlorist! 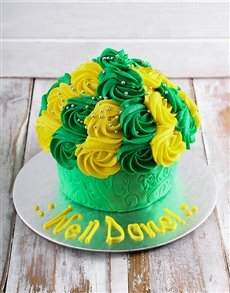 We have some of the best secretary’s day gift ideas in town, one of them being a giant cupcake to say thank you with! 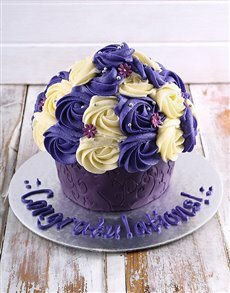 Now you’re probably thinking that a giant cupcake by any other name is just a cake, but no these giant sized cupcakes are anything but ordinary and they make for a fantastic secretary’s day gift. After all it can be tough to buy gifts for a secretary especially if said secretary is a guy. 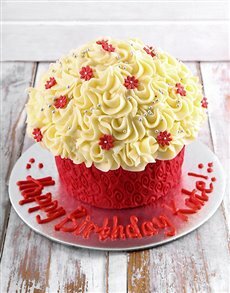 A giant cupcake makes a great gift for anyone actually, be they man or woman! Our giant cupcakes are soft and fluffy and perfectly iced thus making for the best secretary’s day gift. With NetFlorist we’re always there to help you find the perfect gift for Secretary’s Day, you don’t even have to leave your office! 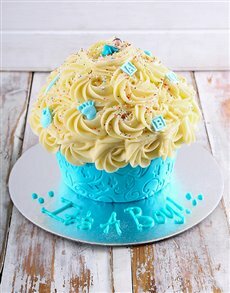 All you have to do is logon here, choose the giant cupcake gift you want and we’ll handle the rest, delivery included! So log on to netflorist now and get shopping for all the best and freshly baked cakes and cupcakes online!